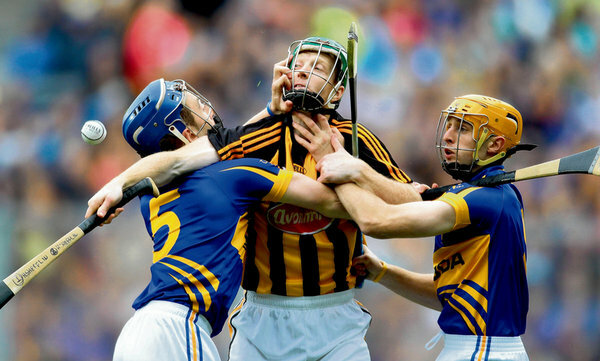 Kilkenny vs. Tipperary: The 2011 All-Ireland Senior Hurling Final by Numbers | What I think About When I Think About Writing. ← 100 Words, 100 Days: Day 47. On Time. The Liam McCarthy Cup was once again up for grabs today. For the third time in as many years, the Premier County of Tipperary played the Cats of Kilkenny for the coveted title of All-Ireland Senior Hurling Champions. It was the first time in the history of this competition that the same finalists have met three years in a row. Before a sliotar was pucked, this “best of three match series” was all square at one apiece. Tipp denied Kilkenny an unprecedented five-in-a-row last year with an impressive eight point at Croke Park. But as it turned out, there’s nothing more dangerous than a wounded Cat. 4 – The points margin between Kilkenny and Tipperary at the end of 70+ pulsating minutes. 3 – The number of goals scored this year. Two by Kilkenny (Michael Fennelly, Richie Hogan), one by Tipperary (Pa Bourke). 81, 314 – The official attendance at Croke Park, some 400 down on last year. It’s not often that tickets are available on the day for a showpiece occasion such as this, but there were plenty floating around in the job today. 13 – The number of minutes it took for Tipperary to score once the game had begun. By that stage Kilkenny already had a five point lead. 0 – Last year’s hat-trick here, Lar Corbett, was virtually anonymous today. But he did supply the pass for Bourke’s goal. He’ll have better games in the future. 8 – The number of points scored by Eoin Kelly of Tipperary, the game’s top scorer. Henry Sheflin lifts the Liam McCarthy Cup. 1 – The game’s solitary injury concern was the referee, Brian Gavin of Clara, Co. Offaly. The match was held up for five minutes while he received treatment on a bloodied nose, the result of an accidental collision with a wayward hurl. No doubt he’ll wear his war wounds with pride. He had a fine game. 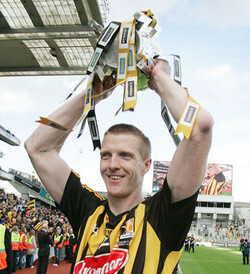 33 – The number of All-Ireland titles Kilkenny now have. 8 – The number of medals Brian Cody (Kilkenny’s manager) and Henry Sheflin now have on their mantlepieces. Cody is the most successful manager in the game. 8 – months until we do it all again. What’s the betting that there’ll be a further installment in the Kilkenny/Tipperary saga? We can only wait and see. All match photographs are courtesy of The Irish Times. Information is supplied by The Irish Times and the RTE website. 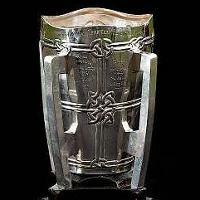 This entry was posted in 100 Days, 100 Words, Dublin, Sports and tagged All-Ireland Senior Hurling Championship, Croke Park, Kilkenny, Kilkenny GAA, Liam McCarthy Cup, Michael Fennelly, Richie Hogan, Tipperary GAA. Bookmark the permalink.